Most attorneys, whether solo or partners in large law firms, struggle with the decision about where to set their fees and retainers. Generally, I find they err on the low side, mostly out of an irrational fear that if they raise their rates by $5.00, all their clients will immediately fire them. Naturally, the result of this will be immediate financial ruin, bankruptcy, homelessness, and ultimately an unmarked grave in potter’s field. But take heart. There are some clear guidelines you can follow that will place your rate at an optimal level for your focus area and market, helping you to increase profit and improve your practice. Before we discuss what your rates should be, we should take some time to understand what drives prices. The answer is supply and demand. Most lawyers have a less than complete comprehension of the dynamics of this process, and as a result they set their fees incorrectly. On the surface, the relationship between price and supply and demand is simple. As demand increases relative to supply, there is an upward pressure on prices. Just about anyone you ask will know this. The reason for this phenomenon is elementary. Scarcity of supply makes consumers compete for a particular product, increasing their willingness to pay. Abundance of supply makes suppliers compete for consumers, increasing the suppliers’ willingness to reduce their price to hold their share of the market. So, how does all this affect a law practice? In recent years the supply of attorneys has grown faster than the demand for their services. As in any market, an increase in the number of suppliers increases the amount and intensity of competition. This has led to an increase in advertising and promotion on the part of attorneys. Such activity informs consumers that there is a greater choice in the marketplace, causing consumers to shop. This puts downward pressure on prices. Prospective clients become more fee sensitive. Lawyers are forced to justify their fees and certain prospects reject them on that basis. This tends to make lawyers very insecure about their rates, especially when the volume of their business is down. The simplistic solution would seem to be just to offer the lowest price in town. You would then have all the business you could handle and get rich. This assumes a couple of things, both of which are false. First, it assumes that the only thing that all prospects care about is the price. Second, it assumes that all prospects automatically will be aware that you have the lowest rate in town. The reality is that being the low price leader in the legal market is the very worst thing you can do to your practice. It will cause your practice to flounder and fail. The first reason is that it takes more production to cover your expenses since every hour generates less revenue. This means that you have to have a high volume practice. To get that kind of volume, you have to get the word out that you are the low price leader, which means advertising (and more expense). Also, to handle the extra volume of unusable calls from the advertising (most of the calls you get from media advertising and web advertising will be people who want free legal advice or have no case), you will have to add more staff to answer the calls (more expense) or answer the calls yourself (lost production). The result will be that you will work very hard for very small amounts of money. Another result of being the low price leader is that you will tend to attract the type of client that has little money to begin with. This lower socio-economic demographic is most likely to become a collection problem, causing you to do a lot of unanticipated pro-bono work. The best way to position your practice is to be the high price leader offering high quality and good value. The marketplace tends to segment itself based on need and ability to pay. Buying patterns and strategies tend to follow income and education. The best strategy is to make yourself attractive to the segment that has a high income and education and then set your price in the range they would expect to pay. Prospects with high incomes will not shop the low price leader. They tend to buy price in reverse. Their buying paradigm is, “You get what you pay for.” This is not to say the rich like to be soaked. They still want good value for their money. They just tend to buy quality because they can afford it. The benefits of having this type of clientele are obvious. Your fees will be paid and usually on time. You will generally be dealing with more intelligent and educated clients with more interesting and complex matters. Since your hourly rate is higher, you need to work fewer hours to generate the same revenues. You will also save money on staff and advertising (some of which can be invested in upscale office space). Good legal work will result in referrals from the same enriched demographic group. The difficult part about being the high price, high quality leader is you have to work harder to get and keep your clients. There are fewer of these good clients to go around. When you find them, they will require an expert presentation to land them. When you land them, they will be more demanding (they hired you on the promise of quality legal work; they expect you to deliver). Another way to meet excess demand is to increase supply by hiring more attorneys. In this situation, you increase your own rate and offer the associates at a lower rate. Your time comes at a premium to clients, but they can still keep the total fee down by using associates when your expertise is not needed. In this case, the client gets a blended rate. If the demand for your services is low, you need to get better at marketing your practice. Notice I didn’t say lower your price. A lack of clients in a law practice is seldom caused by price. It is almost always a problem with ineffective marketing. Assuming you have been in practice a while, you will already have an hourly rate (or perhaps numerous hourly rates). Let’s help you make an assessment of that rate. First, you should only have one hourly rate. Period. If you have numerous hourly rates it means you are negotiating your rate with different clients. Negotiating your rate by client lets clients know that you need their business. Armed with this knowledge, clients will continue to question invoices, because they feel certain you will capitulate (just like you did when they first hired you). You will find yourself cutting bills at the clients’ request. Then you will find yourself cutting bills even before they object, hoping to avert their call. If you negotiate your fee, it tells me your are insecure about losing business. This can only mean you don’t have enough matters and you are not confident in your ability to originate new business. Rather than cutting your rate, get better at marketing. The better the flow of clients into your office, the less negotiable you will become and the more money you will make. Now that you are clear on the fact that you will have only one rate, the question is what rate? If you have been in practice more than five years, you should let demand be your guide. If you have more work than you can do, start by raising your rate by 20%. If you have about the right amount of work, raise it by 10%. If you don’t have enough work, use the rule in the next paragraph to set your rate and get busy marketing. Ask around and find out what other lawyers in your geographical area are charging for legal matters in your area of concentration. Generally, your rate should be at least 10% above market (the average market rate), because most lawyers are insecure about their rates and are under-priced. If you have less than five years you should be no more than 10% under market. Starting off slightly above market may seem scary, but it is appropriate, because most lawyers under-price themselves, and most good clients are reluctant to hire a lawyer whose fee is too low (remember, they believe they get what they pay for). When raising your rates, there are two approaches you can use. The first is to just raise them across the board to existing clients as well as new clients. Don’t send an apologetic letter telling people you are raising rates; just raise them. You should definitely use this approach if you are significantly below market. If you feel uncomfortable with this approach, what you can do is quote the new rate on new matters and leave your existing clients at the old rate for old matters. This does not mean, however, that the old clients will stay at that rate ad infinitum. Any new matter presented by an old client should be billed at the new rate. Simply explain to the client that you recently had a rate increase and you didn’t think it was fair to raise his/her rate in the middle of a matter, but that all new matters will be at the new rate. The client will usually understand, and be grateful for the break on the existing matter. Structuring fees has become quite inventive in the past few years. I much prefer the one rate approach, but here are some ideas you might consider. The Split Fee Tactic – This is getting popular in litigation involving collection of debts or contractual obligations. The concept is to charge the client for your hours at half your normal hourly rate and take a contingency fee at half your normal rate upon recovery. Corporate clients like this because it makes them feel that the lawyer is sharing the risk with them, but yet the lawyer doesn’t get one third of the recovery for sending a couple of letters. The Minimum Fee Tactic – This one works well for uncontested divorces (which invariably become contested). It is also being used more frequently in plaintiffs’ employment cases. The lawyer takes a non refundable retainer that represents a minimum fee for the case. In hourly cases, if the hours exceed the retainer, the retainer must be replenished. In contingency cases, if there is a recovery, the retainer will be deducted from the attorney’s fee upon disbursement. If there is no recovery, the lawyer gets to keep the retainer for services rendered. The Contingency Sliding Scale Tactic – For contingency matters the rate changes depending on the work done. If the lawyer settles the case without filing a lawsuit, the fee might be 33%. If the lawyer has to file; 40%. If the case goes to court; 45%. Another variation on this is a sliding scale based on recovery. The lawyer gets 40% of the first $1 million, 30% of the second $1 million, and 25% of subsequent millions. This idea has been forced on plaintiffs’ lawyers in some states in a draconian way due to tort reform, with the top bracket being very small and the scale beginning to slide at very low dollars. The Hourly Sliding Scale Tactic – The first 100 hours of a matter are billed at the attorney’s normal hourly rate, the next 100 hours at $10.00 off the hourly rate, the third 100 hours at $20.00 off, etc. (naturally you stop the progression at some point before you are paying the client for doing his/her work!). Larger clients like this plan because they feel it gives the lawyer an incentive to be more efficient to avoid having to bill at a discount. If you are in a beauty contest for a large client with a juicy matter, this is a hook that might get you the client. Again, all these tactics are compromises that mostly result from poor marketing and a feeling of insecurity on the part of the lawyer that the client will walk. I think that we can all agree that if you were overwhelmed with work, it is unlikely you would agree to any of these tactics. One of the questions I’m asked most frequently is whether and when lawyers should take retainers. The answers are yes and almost always. There is no greater weapon in assuring that you get paid for your work than having a large retainer. After working with scores of lawyers, I have found that bad debt can run as high as 30% of total billings for small firms and solo practitioners (especially in family law), and up to 15% for large firms. This is ridiculously high and it can be prevented. I have helped clients reduce their bad debt from 30% to less than 5% with judicious use of retainers. Asking for retainers makes many lawyers squeamish, because they fear that if the retainer is perceived as being too high they will lose the prospect. This reflects back to the same insecurity I spoke of before. Not enough business and no confidence in getting more will make you desperate and afraid. This frame of mind will increase the number of bad business decisions you make by compelling you to take bad clients and tenuous matters. The first thing to acknowledge is that there are people out there who have urgent legal problems, but no means of paying a lawyer to address those problems. These people will do what they can to get the problem solved, even if it means making financial commitments they cannot keep. The second thing to acknowledge is that the great majority of people resent having to pay a lawyer anything. Any discontent, justified or not, will exacerbate this feeling and cause clients to question bills or simply refuse to pay. This has less to do with the kind of job you do than with the client’s perception of how badly he/she was hurt by the result. Even though the client was fully to blame for getting into the situation in the first place, the lawyer will be blamed and non payment will be justified in the client’s mind. Retainers keep honest people honest. A retainer is a good faith deposit. Any person who refuses to pay a retainer is telling you that he/she is reserving the right to withhold payment for any arbitrary reason he/she sees fit. Don’t start the relationship by giving clients this kind of leverage. Every new client should pay a retainer. If a client shows a good on-time payment record, it might be reasonable to take subsequent matters without a retainer (although I don’t recommend it). Don’t confuse ability to pay with willingness to pay. Too many lawyers think that just because a client has plenty of resources, the lawyer will be paid without incident. This assumption often produces unpleasant results. The Full Payment Retainer – This is payment in full in advance. This is commonly used when it is clear the client is a credit risk. For instance, all criminal defense clients should pay in advance. This retainer is also used for flat fee matters that can be completed in less than 30 days, such as an incorporation, a simple will, or a simple boilerplate contract. The Partial Payment Retainer – With this retainer, the lawyer asks for part of the fee in advance (typically half) and the balance due on completion. This is appropriate for more expensive flat fee work that will turn around in less than 60 days, such as an estate plan or an immigration hearing. This type of retainer should not be used for hourly work. The retainer gets the process started and the balance is due on the date of the signing or the hearing. The advantage of this type of retainer as well as the Full Payment Retainer is that little invoicing is necessary. The client pays a retainer equal to your estimate of the fee for hours that will be billed in the next two months. The retainer is placed in escrow. At the end of the month, the client is invoiced for that month’s work, and must pay the bill within 30 days. Upon sending the invoice, you draw down the escrow account by the amount of the invoice. When the client pays the invoice, it is deposited back into the escrow account, replenishing the retainer to its original amount. Any amount remaining at the conclusion of the matter is returned to the client. An important part of setting the client’s perception is to have him/her sign a retainer agreement. Many lawyers simply send an engagement letter. Some have only a verbal agreement. My recommendation is that you draft a formal retainer agreement for each type of fee arrangement into which you commonly enter. The reason for this has nothing to do with protecting your legal rights, but rather creating a perception in the client’s mind that there are specific rules involved in this transaction and there might be legal consequences if they default. The amount of your hourly rate (subject to change without notice). A specific statement about your right to stop work if the retainer is not replenished. A specific statement about your right to withdraw from the matter if no payment has been made within 7 days of request for replenishment. A statement that specifies finance charges for delinquent amounts. A statement acknowledging that the client will pay collection fees and court costs incurred in collection of past due balances. This contract is basically for show. Most lawyers would not sue a former client for delinquent fees unless the outstanding amount is high and they are willing to risk a bar complaint. This contract is not as important from a legal standpoint as it is to make the client believe you might sue him/her and win due to his/her signature on the document. The more formal the document, the more likely the client is to take it seriously and the less likely he/she is to fall behind. Marketing is all about perceptions, and in many ways, so is receivables management. Good management of your receivables can greatly increase your realization rate (the percentage of billed hours actually paid by clients). For every $100,000 a year you bill, improving your realization rate by 5% means an extra $5,000 in receipts for the firm (or for you if you are solo). There isn’t any management necessary for the Full Payment Retainer. No retainer, no client. The management of the Partial Payment Retainer is simple, no final payment means no work product (it is important you tell the client in advance that payment is expected upon conclusion, then mention the amount of the balance due when setting up the final appointment). With the replenishing retainer, it is important that you set the client’s perception early in the process. The first factor that affects this is being consistent in sending invoices. Invoices should be mailed the same day each month if possible. Lack of diligence and timeliness in billing leads to late payment. The client reasons that if you were in no hurry to get out the invoice, you must not be in a hurry to get paid. The second factor is confronting the client about late payment early in the relationship. Let’s suppose you asked for a retainer of $2,000.00. If you estimated right, at the end of the first month you should have billed about $1,000.00 on the file. You send and invoice and draw down the escrow by $1,000.00. You then continue working on the client’s file during the second month. By the end of the second month, you should have received the client’s check in payment of the first invoice. If you haven’t, the second month’s billings should be close to exhausting the retainer. Upon issuing the second invoice and drawing down the retainer, you should call the client to request the retainer be replenished. If you confront the client before the client owes you money not covered by funds in the retainer, then you are managing the retainer rather than managing receivables. This is the the best way to avoid bad debt. Inform the client that you must receive the check if you are to resume work. If the client waffles, inform him/her that you will be forced to withdraw if payment isn’t forthcoming within seven days. If the client has the resources, this will usually do the trick. If the client is unable to make the payment, better to withdraw now than wait until the client owes you $8,000.00 with a court date pending. Otherwise you will be trapped; forced to do another $2,000.00 worth of work for a client who has already shown he/she will probably not pay you. With most clients, having this confrontation early will show them you are serious about timely payment and it will cause them to pay promptly. As a general rule you should be calling to replenish the retainer if the retainer balance falls below $1,000, and try to make this call before the balance goes negative. Also, if you anticipate a major event such as a trial or hearing, you should make sure the client has a sufficient retainer balance to cover your estimated time for that event plus $1,000. If not, you should call to have the client beef up the retainer. For the deadbeats, it gives you an opportunity to flush them out before they owe you too much. You can then move on to clients who will pay your fee. I’m often asked who should make the call. Generally speaking, for a replenishment call, a staff member can make the call. If no funds are forthcoming and the attorney is on the brink of withdrawing, the attorney should make the call. Practicing law is demanding and often stressful work. You work hard for your income and you are entitled to be paid for your work. Taking retainers and holding your clients accountable to timely payment will help assure you of getting the fees that you have earned and rightfully deserve. All you have to sell is your time. You should make sure you are getting the best possible return on your invested time by keeping your fees in concert with demand for your services. If that demand is low, get busy marketing. Always think of clients as an abundant commodity rather than a rare luxury. Good marketing makes this so. This will give you the confidence to say no to deadbeats and uncooperative clients. Making good decisions on whom you work with will make your practice more rewarding and pleasurable. 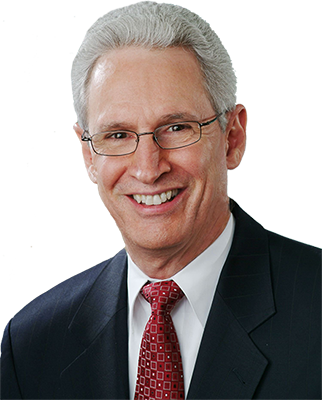 Art Italo is a consultant working exclusively with attorneys in the areas of legal marketing, strategic planning, law practice management and success coaching since 1992. 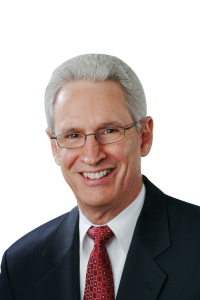 He has developed and refined the concept of Leveraged Networking after over 15,000 hours of individual consultations with attorneys. He has personally consulted with over 500 attorneys in Atlanta and across the U.S. with practices ranging from solo practitioners to partners with major firms. Art has more than 35 years of marketing and management experience and holds an A.B. from Brown University and an M.B.A. from Pace University.